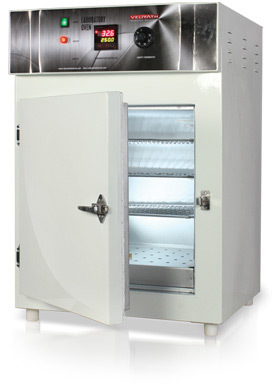 "VS101" series are lab hot air oven with Natural convection heating. It incorporates a heating system with fine air stream creating uniform temperature due to natural convection within the chamber. pre heating, drying, sterilizing, backing, aging etc. finished with epoxy powder coating. Insulation : Fibre glass wool.